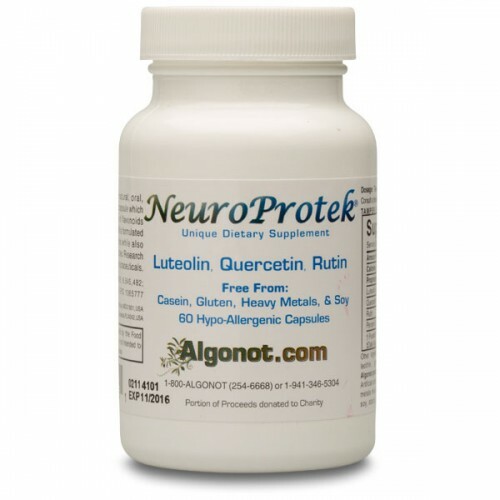 • NeuroProtek® contains the flavonoids: Luteolin, Quercetin, and Rutin. Unique to Algonot’s family of formulations is olive kernel extract and flavonoids. 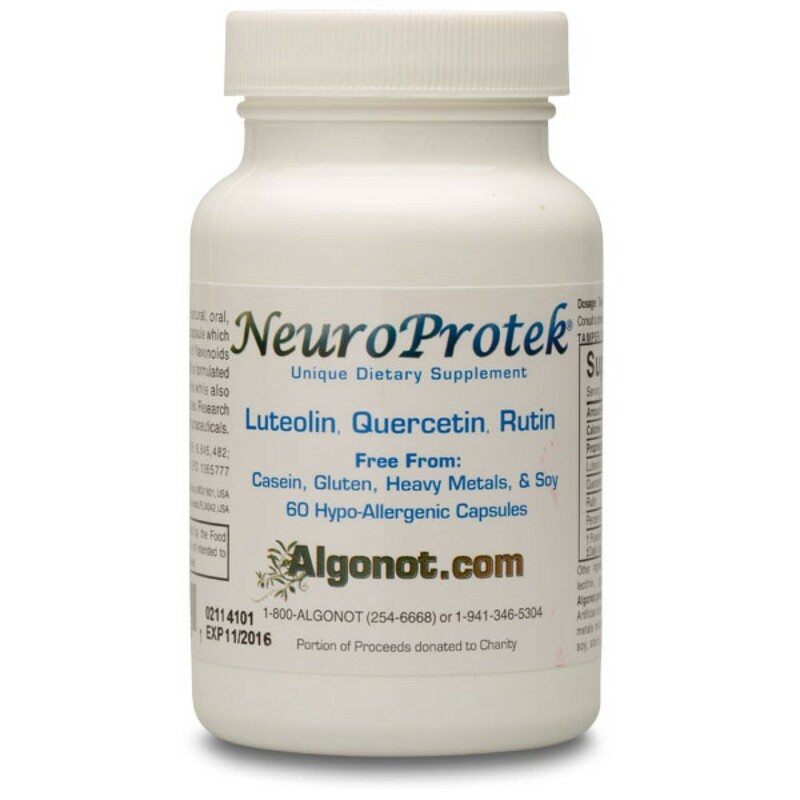 • NeuroProtek® is free of the following allergens: artificial colors or dyes, flavors or sweeteners, corn, eggs, fish, heavy metals, milk/casein, peanuts, preservatives, salt, shellfish, starch, sugar, tree nuts, wheat/gluten and yeast. Our ingredients are not obtained from beef or beef by-products.